If you're a Shopsmith owner, you've probably already figured out that having a great drill press vise could be a BIG help for holding small workpieces while you bore holes, rout mortises and perform other operations with your Shopsmith set-up in vertical drill press mode. And, we're also guessing that you've run into situations where having a bench-mounted vise would be pretty handy, too ! 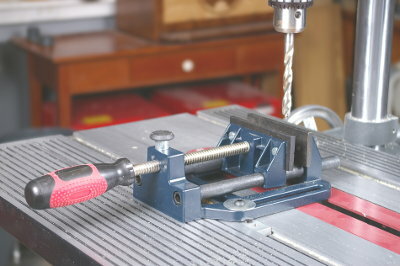 But adding both of these tools to your shop can be a costly proposition. 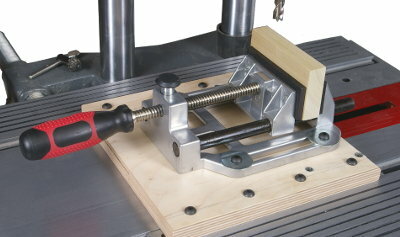 Small drill press vises with little in the way of features can run between $50 and $130 or more. 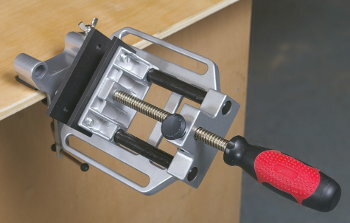 Bench vises can easily exceed the $150 range. 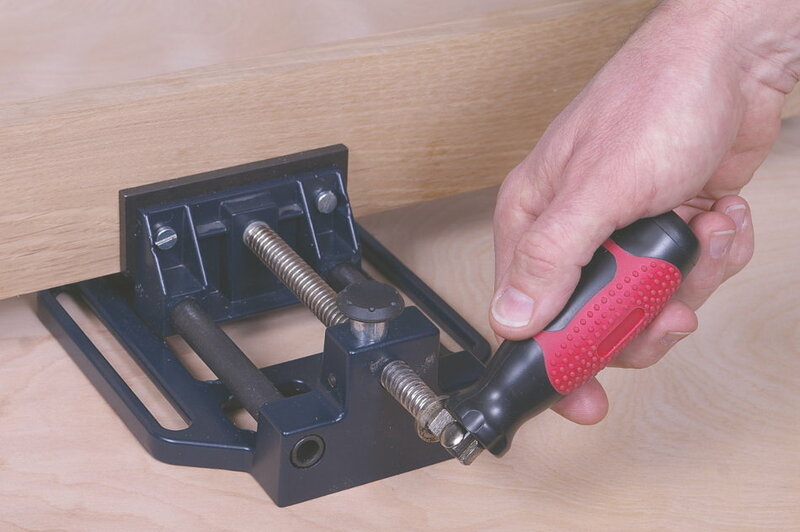 This great combination vise offers 4" wide jaws that adjust rapidly with a pushbutton quick-release mechanism. It can be mounted easily to your drill press table (through your Mark V or Mark 7's sawing table insert or with our sliding T-Nuts (included). Or, you can also mount it to your workbench in any number of configurations (see photos) using the included bench-mount clamp. 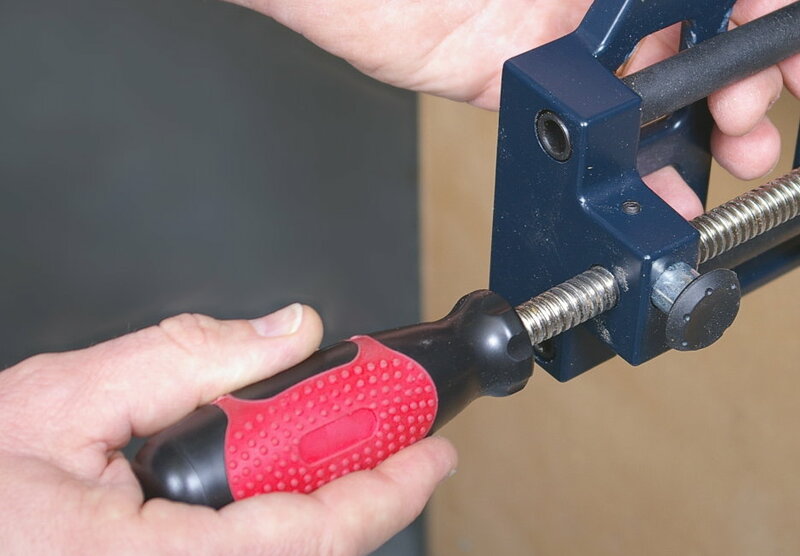 You get a lot of versatility for about the same money as a low-cost drill press vise alone. Mount it ONTO a benchtop up to 1-3/4" thick, using the included clamp. 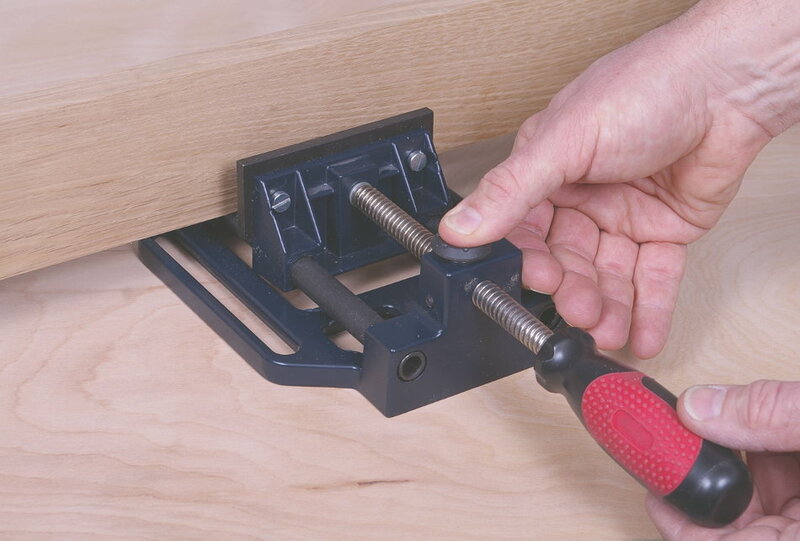 It's great for holding boards or dowels while sawing drilling, planing and more. 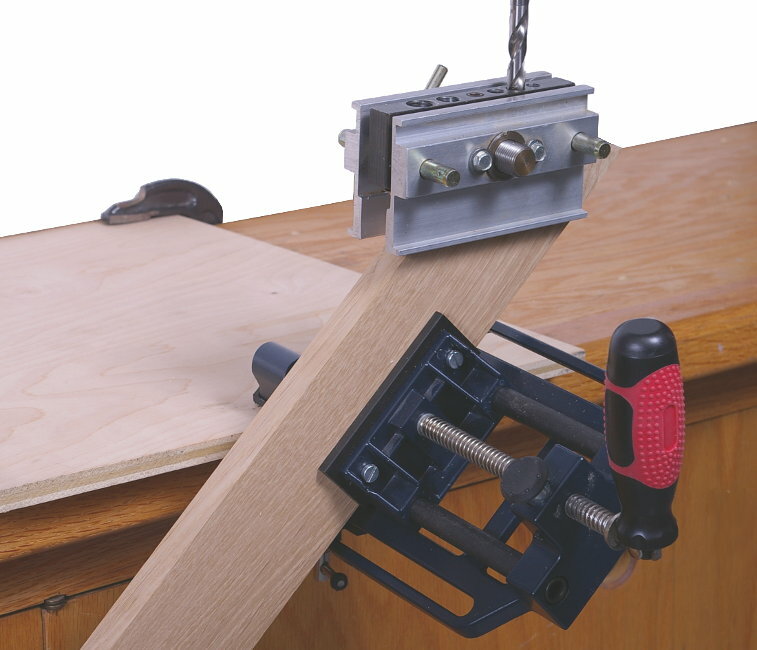 Mount it on top of your bench... or sticking out from it, either horizontally or at a 45° or 90° angle! 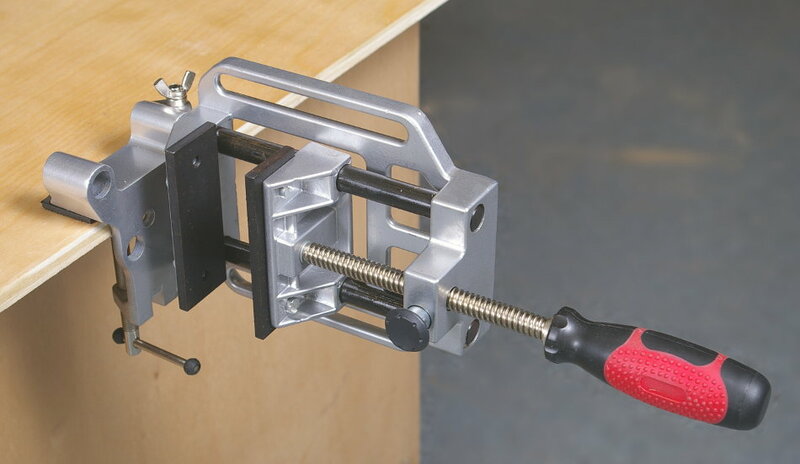 Includes: Vise • Vise Mounting Clamp • Two Sliding T-nuts • Two Buttonhead Bolts and • Two Fender Washers for mounting to your Shopsmith. 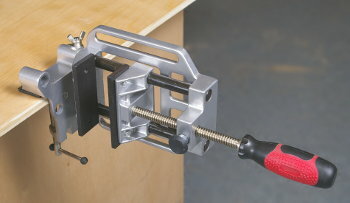 Note: Color may vary from the item shown in the photos. 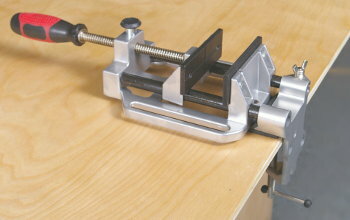 Plans and hardware for a sliding base plus 16 accessory jaws for you combination vise. 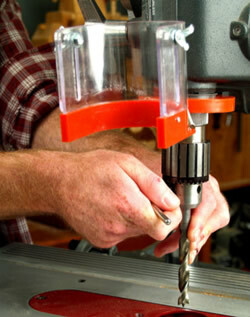 EuroGuard delivers fast, hassle-free tool changeovers, improved dust collection efficiency and added workshop safety.